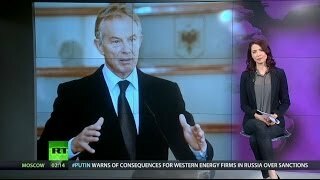 Abby Martin interviews UK Respect Party Member of Parliament, George Galloway, about Tony Blair's comments on Islamism, BBC censorship, and why he disagrees with the Scottish Independence movement. No one died in the Tiananmen Square Massacre. ... MP George Galloway: UK is Well Organized Hypocrisy & Foreigners Run Our Elections.